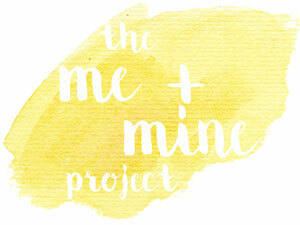 Really excited to be linking up to the Me and Mine Family Portrait Project for the first time this month! This project is about sharing a whole family photo and saying a little bit about what we've been up to this month. We have so many photos of Little Miss A but a picture of the 3 of us is a very rare thing! I'm hoping that this will encourage us to make sure we get at least one family photo each month! I have a little confession that this picture was taken today (1st February) and not quite in January. We've had every intention of taking a photo in January but we've forgotten to ask someone to take a photo of us or Little Miss A has just been in the wrong sort of mood. Even in this photo we could only get Little Miss A whilst she's munching rice cakes! We need to learn how to use the timer on our camera and hopefully we''ll do better this month! Getting good use out of our new National Trust membership already with two visits to Waddesdon Manor and a visit to the Magna Carta Memorial. A fab weekend seeing friends in Brighton which is one of our favourite places as we used to live there! The sheer pace at which Little Miss A's vocabulary is increasing. New words every single day! Dogsitting a friend's dog for a week and seeing the way Little Miss A interacted with the dog. Celebrating the 1 year Blogivesary of this blog. So very glad I started writing it. All of us being struck down with bad colds. Knew Little Miss A was poorly as she just wanted to snuggle on the sofa, something she just doesn't do as she's always on the go. Getting caught in a heavy snow/hail storm whilst walking the dog. Not really how I wanted to introduce Little Miss A to snow! Unfortunately, the snow didn't last long enough to have any fun in it! Thanks Stephanie. Maybe I should have kept quiet. Too honest! I like the smiley photo - she looks v coy with her ricecakes. Will be def following your blog for some frugal tips! Thanks Rachel. It is a cute smile despite the rice cakes! Thanks so much for hosting #MeandMine I'm so glad I've come across it and started it. Really looking forward to the photos over the coming months.